Soft, fluid, controlled movement of horse and rider should be the desire of all riding disciplines. Whether the ultimate goal is high-level dressage or barrel racing, a rider should seek complete integration of movement between himself and his horse. Training techniques that emphasize the rider gaining dominance over the horse create tension. A tense or excited rider will often fail to notice the tension in his horse which hinders good movement. But any resistance on the part of the horse will affect the horse's performance. Any effort on the part of the rider to force compliance to his wishes will cause such resistence even if the horse complies with the rider's basic demands. This is not to say that there is never a time for discipline. But the ultimate desire should be for the horse to participate willingly (not as a result of fear) in the chosen activity. A useful analogy is that of partners dancing together as one. The leader guides his partner with subtle pressure and weight shifts. The partner follows, not out of compulsion, but as the natural result of two bodies moving as one. 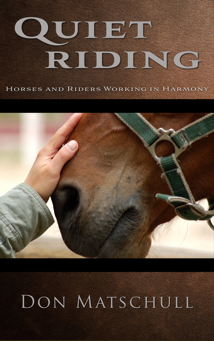 Many articles and books have been written on training and riding horses. Various authors and trainers offer their own ideas about what particular cue to use to get a certain response from the horse. I am no different. It is best to study a variety of different methods. The result is like having a toolbox full of many different tools. If one is not quite right for a particular job, you have another to try. While I have my favorite cues, I will often try another if my choice does not elicit the response I desire. Then, as I work slowly with the horse, I can re-train him to respond to the cue I prefer. Most horses are very adaptable and can respond to a variety of cues if they have been taught that they will be rewarded for doing so. If a horse knows what a rider wants when he gives his partner a light cue, that horse will respond better to that rider than to one who kicks or pulls him to get the same response. While limited in scope, my desire is that this web site will provide a glimpse of how unity of horse and rider may be achieved. If you would like to learn more, the About Me page provides information on how to get in touch with me for lectures, lessons, or clinics. There are also links to where you may purchase my book in either paper or electronic format. 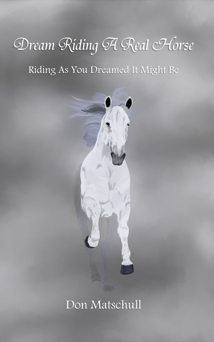 An outline of the Quiet Riding website can be seen below. The descriptions are links to quickly take you to various pages and sections of pages which might interest you.